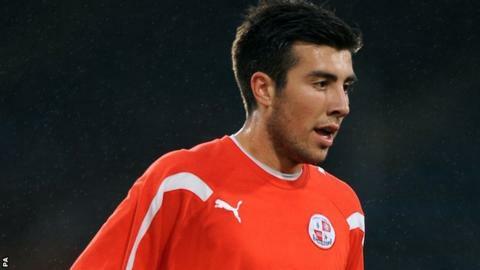 St Johnstone have agreed a deal to sign Queens Park Rangers' 20-year-old midfielder Michael Doughty on loan. Doughty, on a three-year deal at QPR, has made one first-team appearance for them and has previously been on loan at Aldershot and Crawley. Saints manager Steve Lomas said: "Michael's a very silky midfielder who is good on the ball and can play in various positions across the middle." He could feature against Aberdeen at McDiarmid Park on Wednesday. Doughty will vie for a place in the Saints midfield with Liam Craig, who has agreed to move to Hibernian at the end of the season, Chris Millar, Murray Davidson and Patrick Cregg. Forwards Rowan Vine, Nigel Hasselbaink and Gregory Tade can also operate in deeper positions.